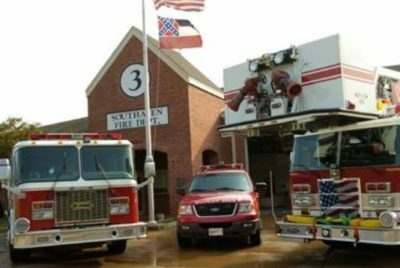 Southaven has received a $1.5 million grant that will allow the city to hire 12 additional firefighters. Mayor Darren Musselwhite called the grant, from the Federal Emergency Management Agency’s SAFER grant program, “truly monumental.” “This grant will allow our city to move forward with the personnel needed to further serve our southernmost portion of the city, and will increase our overall emergency response capabilities,” Musselwhite said. Musselwhite added in a note on the city’s website that the grant will help the city staff a new fire station planned within the next four years. Until the new station is built, additional personnel hired under the grant will allow the fire department to operate a double company at existing Fire Station No. 4 at 6450 Getwell Road. SAFER, an acronym for Staffing for Adequate Fire and Emergency Response, is designed to help fire departments nationwide increase or maintain an adequate number of firefighters. Three Mississippi cities received grants this year, with Southaven getting the largest. Clinton and Biloxi also received grants. Stipulations require Southaven to provide 25 percent in matching funds each of the first two years of the three-year grant, and a 65 percent match the third year. After the grant expires, funding for additional personnel hired under the grant will be the city’s responsibility. Fire Chief Roger Thornton called the grant highly competitive. “We are very fortunate to have the resources to successfully apply and implement this award,” Thornton said. Southaven currently has 99 firefighters staffing four stations. The department also has 12 paramedics and 10 administrative positions. Southaven has grown dramatically in recent years, to an estimated population of about 53,000. It is Mississippi’s third-largest city. The growth has stretched the city’s ability to keep up with needs in areas such as police and fire, prompting Musselwhite to laud the fact that the timing of the grant coincides with the start of planning for the new station. The new personnel will be hired in January, the beginning of the three-year grant period.